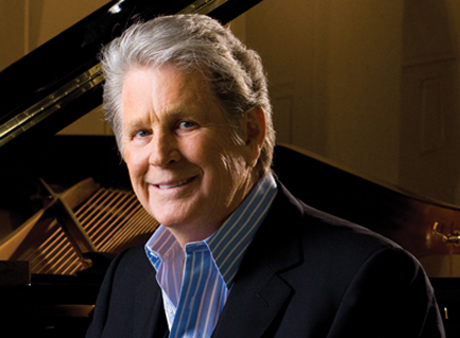 A fresh, unconventional exploration of musician Brian Wilson’s mind. Brian was the heart and soul of 60s pop group “The Beach Boys”, who like the Beatles started out their careers warbling catchy pop tunes that radio disc jockeys and record companies loved. Then, also as in McCartney-Lennon, Brian graduated to become an authentic musical genius in contemporary pop music, but not without a struggle along the way. Brian was probably some variation of an adolescent schizophrenic. His symptoms came to fruit in about the right time frame. He metaphorically and literally “heard music” in his head, then set about transferring what he identified through others playing traditional musical instruments, or anything that could create a tone. This is a gift that only a relative few have been given, and its translation can be difficult. In the 80s, Bob Segar reputedly threatened to fire his entire (Silver bullet) Band because the music they were playing wasn’t what he heard in his head. Brian’s band mates had little interest in any other than continuing their surfing song fluff that brought in a good living. The film itself is as schizophrenic as its object, detailing Brian’s life as a young man played by Paul Dano and his older version played by John Cusack. In particular, Paul Dano totally nails the mental goings-on inside Brian Wilson’s head and brings them to life, instructing studio musicians, layering sound over sound while his vocalist brothers apply their portions into isolated microphones. John Cusack brings to life the burned out psychosis, serviceably controlled as with John Nash in “A Beautiful Mind (2001). The film doesn’t solve the enigma of Brian Wilson, but it succeeds painting a wonderful portrait of his creative mind. The real Brian Wilson today at age 72 sings the song “Love and Mercy” in concert footage during the end credits, so you get a full feel for him. The film is a bit disjointed and hard to follow, but the scenes of Paul Dano creating music are fascinating and worth the price of admission. I give it four of five Theremins (on Good Vibrations).